A strange imprisonment Beauty has never liked her nickname. She is thin and awkward; it is her two sisters who are the beautiful ones. But what she lacks in looks, she can perhaps make up for in courage. When her father comes home with the tale of an enchanted castle in the forest and the terrible promise he had to make to the Beast who lives there, Beauty knows she must go to the castle, a prisoner of her own free will. Her father protests that he will not let her go, but she answers, "Cannot a Beast be tamed?" 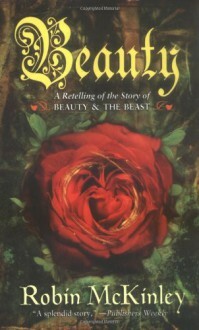 Robin McKinley's beloved telling illuminates the unusual love story of a most unlikely couple: Beauty and the Beast.